Welcome to the Longway Charters with Captain Chris Long of Little River, SC. Longway Charter Fishing in Little River South Carolina is for both the serious sport fisherman as well as for the fishing enthusiast. Captain Chris Long specializes in salt water fishing charters for groups, particularly people that are interested in large offshore catches. 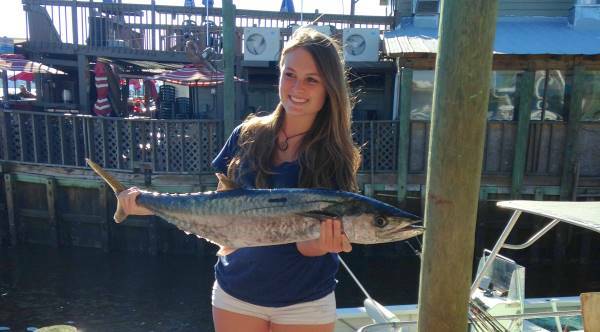 Take a look at What's Biting and get ready to Book Your Trip --- your group will enjoy a fun-filled day of deep sea fishing aboard the Longway. Captain Chris Long can be reached by phone at 1-843-249-7813 --- if he's out catching big fish at the time, please leave a message !